So they call me a thief! Thieves of Sunrise, an intense psychedelic rock and soul band from Dallas TX, aims to bring their rock and roll ruckus to the world. They’ve been featured on radio stations in England, Scandinavia, New Zealand, Australia, and all across Europe and America. Their highly improvisational and attention-stealing show has been featured in festivals, theaters, concert halls, and rock clubs across the United States since they formed in 2010. 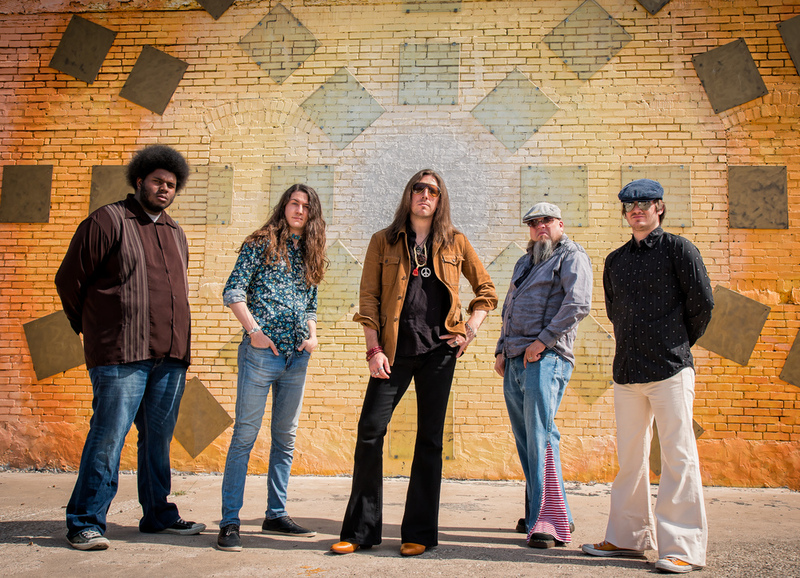 Thieves of Sunrise brings funky, soul-infused southern rock back with a sound that is as original as it is classic, with influences pouring from the golden ages of rock and blues records. In this way, Thieves of Sunrise feels like finding an old, dusty vinyl record and discovering that the songs still resonate today. The result is a celebration guaranteed to get heads bobbing, hearts pounding, and hips shaking. The band's bone-shaking blues roots and authentic soul-rattling southern swagger has appealed to fans around the globe. Go to a show, listen to the record, spread the good word, and join the rock and roll revolution. "THis is rock n roll with Swagger and I dig it"
"The Thieves Of Sunrise" have a released a new CD and does it ever ROCK! Reminiscent of "The Black Crowes", these guys have a sound that makes you want to hear more. Fantastic lead guitar fills throughout the album, plus a generous amount of horns, harp & keyboards to add multiple layers to the groove. It's a rocking album, yet on two of my favorite tracks, the Thieves slow it down and do the blues thang on "Hurricane" and "Lord Willin'...." Check it out folks, these "Thieves" will steal the show !